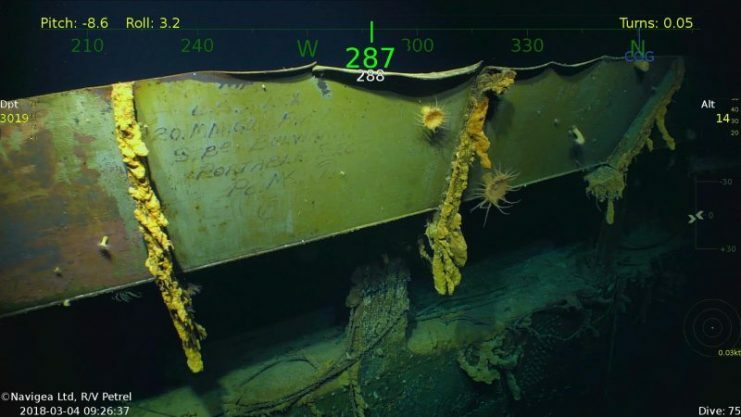 Wreckage from the USS Lexington was discovered on March 4, 2018, by the expedition crew of Research Vessel (R/V) Petrel, which is owned by Microsoft co-founder and philanthropist Paul G. Allen. 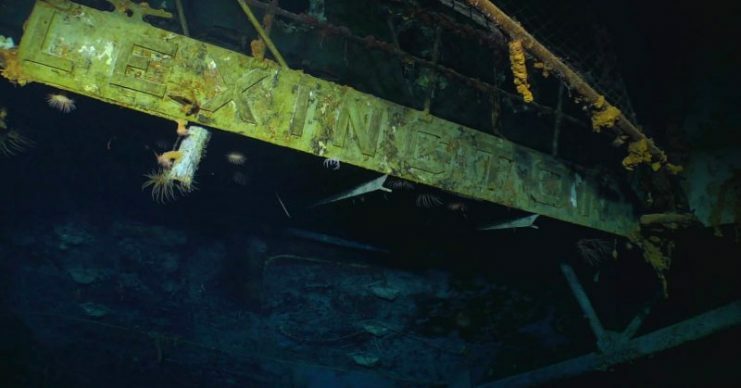 The Lexington was found 3,000 meters (approximately two miles) below the surface, resting on the floor of the Coral Sea more than 500 miles off the eastern coast of Australia. 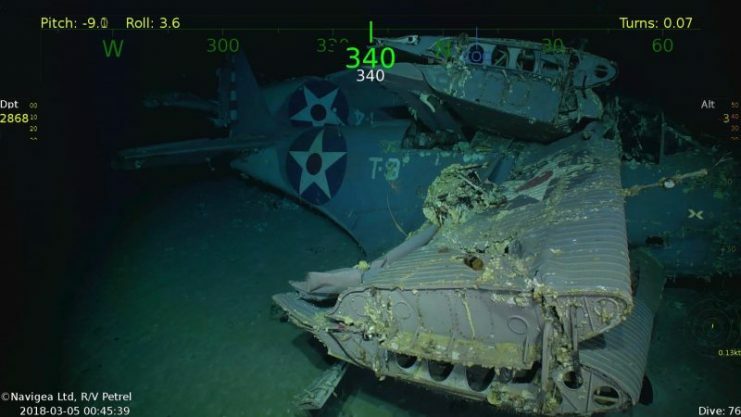 Wreckage from the USS Lexington (CV-2) Located in the Coral Sea 76 Years after the Aircraft Carrier was Sunk During World War II – 5-inch gun. 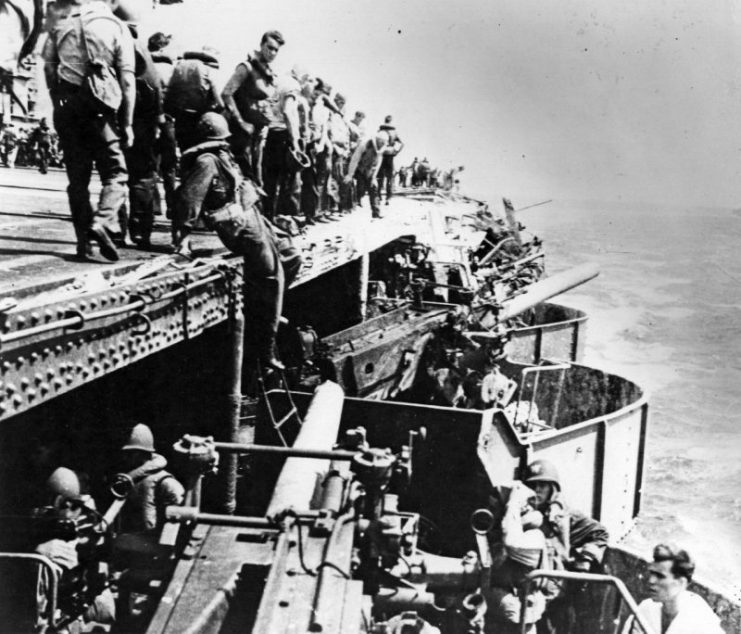 During the Battle of the Coral Sea the Japanese navy sank USS Lexington (CV-2), USS Sims (DD-409), and USS Neosho(AO-23), and damaged the USS Yorktown. The Japanese lost one light carrier (Shōhō) and suffered significant damage to a fleet carrier (Shōkaku). 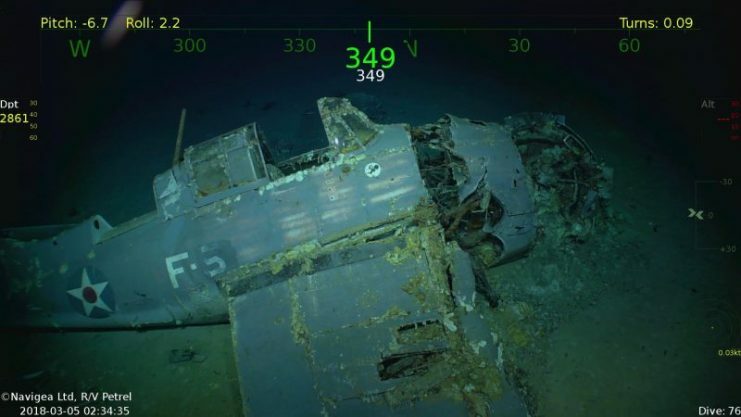 Wreckage from the USS Lexington (CV-2) Located in the Coral Sea 76 Years after the Aircraft Carrier was Sunk During World War II. Damage in the port forward 5-inch gun gallery on USS Lexington (CV-2), from a Japanese bomb that struck near the gallery’s after end during the Battle of the Coral Sea, 8 May 1942. 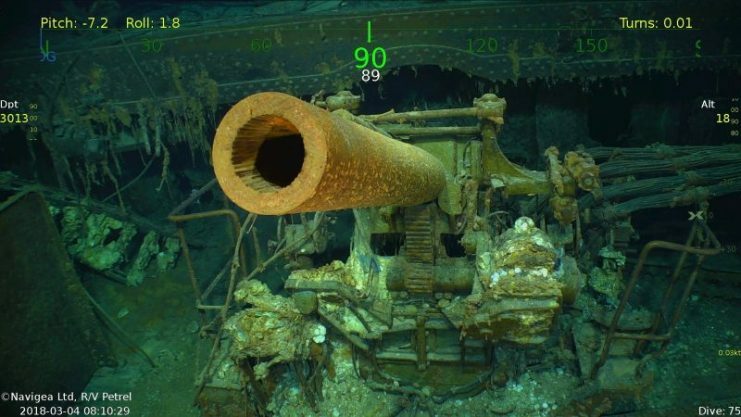 View looks aft, with the ship’s number two 5/25 gun in the foreground, still manned and in operation. Number four 5/25 gun is immediately beyond, trained out to port and aft. Based on some initial success with his M/Y Octopus, Mr. Allen acquired and retrofitted the 250-foot R/V Petrel with state-of-the-art subsea equipment capable of diving to 6,000 meters (or three and a half miles). Since its deployment in early 2017, the ship was active in several missions in the Philippine Sea before its transition to the Coral Sea off the Australian Coast. 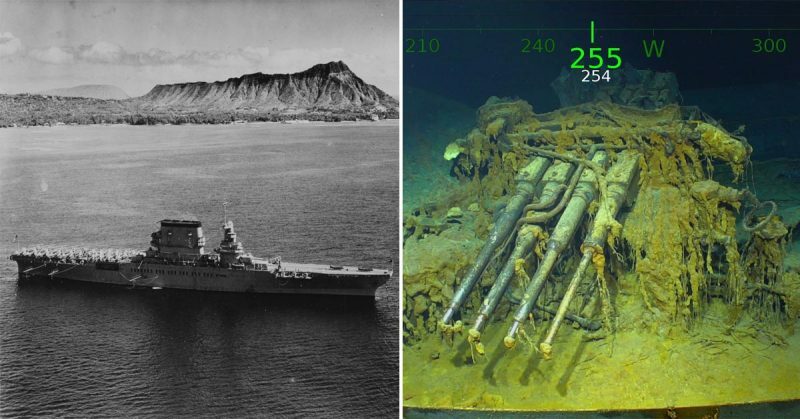 Allen-led expeditions have also resulted in the discovery of the USS Indianapolis (August 2017), USS Ward (November 2017), USS Astoria (February 2015), Japanese battleship Musashi (March 2015) and the Italian WWII destroyer Artigliere(March 2017). His team was also responsible for retrieving the ship’s bell from the HMS Hood for presentation to the British Navy in honor of its heroic service. Mr. Allen’s expedition team was permanently transferred to the newly acquired and retrofitted R/V Petrel in 2016 with a specific mission around research, exploration and survey of historic warships and other important artifacts.